Georgia Manufacturing Expo continues to spotlight the people, products, and plants of Georgia manufacturing with a tour of the Anheuser Busch brewery. 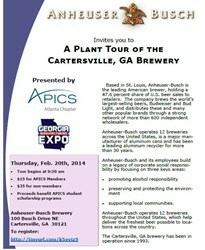 Georgia Manufacturing Expo and APICS Atlanta have teamed up to offer a tour of the Anheuser Busch Brewery in Cartersville, Georgia next month. The tour will take place February 20, 2014, and is open to the public with registration. Anheuser Busch operates twelve brewing facilities in the United States. 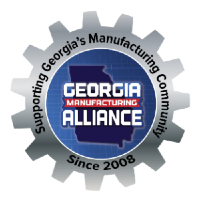 The two organizations are working together to show the type of quality products the Georgia manufacturing industry produces.